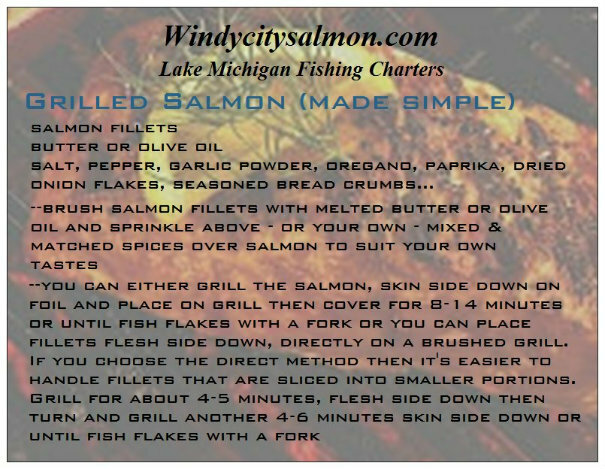 Grill or bake (400 degrees) salmon fillet, skin side down until salmon begins to flake. Skin will separate with spatula. Mix Together salmon, onion, parsley, mayo, and bread crumbs. Get creative. If you like spicy, add some cayenne pepper. Form patties after ingredients are mixed thoroughly. You can make small patties or large patties to put on a bun for burgers. Cover bottom of a pan with olive oil heat at medium-high. Saute patties until golden brown on each side. I like to top salmon cakes with remoulade sauce or a simple, slice of butter. Any cajun/blackened mix found at the store. Or for your own mix use: 2 parts paprika, 2 parts oregano, 2 parts salt, 2 parts garlic powder, 1 part onion powder, 1 part ground cayenne pepper, 1 part ground black pepper, 1 part thyme. Suit the mixture to your own personal tastes. 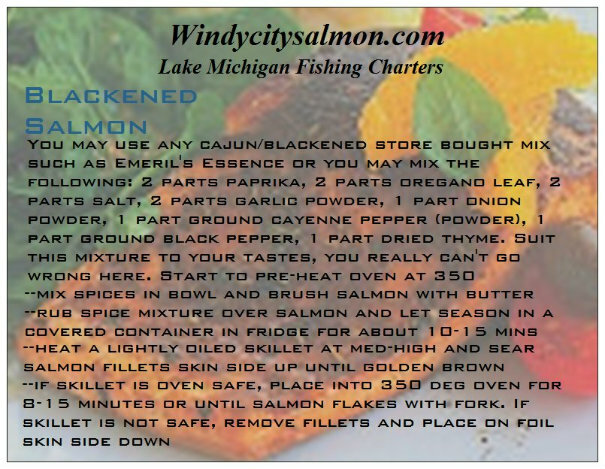 Mix spices in a bowl and brush salmon fillet with melted butter. Rub spice mix over salmon and let season, covered in fridge for 15 minutes. Heat a lightly oiled skillet/pan at med-high and sear salmon fillet, skin side up until golden brown. 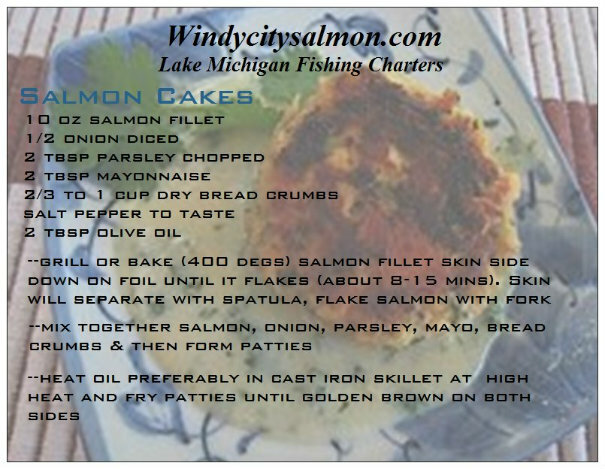 If skillet/pan is oven safe, flip salmon to skin side down and place into 350 degree oven for 8-12 minutes until salmon flakes. Brush salmon fillets with melted butter or olive oil and sprinkle above herbs and spices – or your own blend – to suit your own tastes. 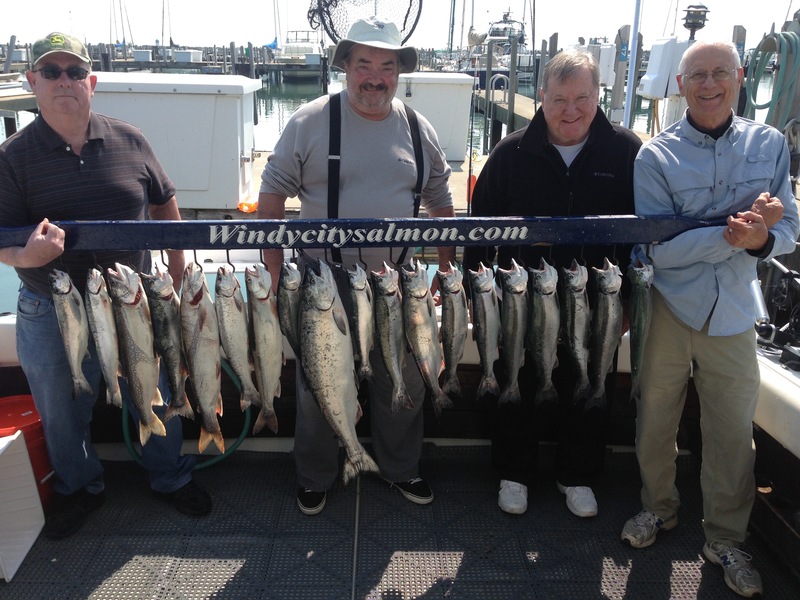 You can either grill the salmon, skin side down on foil and place on grill then cover for 8-14 minutes until fish flakes with a fork. Or you can place fillets flesh side down, directly on a brushed, oiled grill. If you choose the direct method, then it’s easier to handle fillets that are sliced into smaller portions. Grill for about 4-5 minutes, flesh side down then flip, skin side down and grill another 4-6 minutes, or until fish flakes.